Rotract Club of our College organized "Morale Function" on 19-12-2017 at Mookkapillai auditorium. R.Selestina, Chairman of the students, Rotract Club welcomed the gathering. Er. Pon. 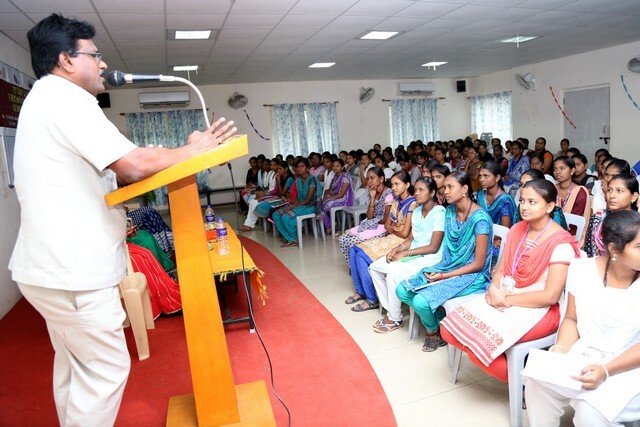 Balasubramanian, President of our college inaugurated the function. Dr. A.R.Pon Periyasamy, Principal of our college felicitated on the occasion. The chief guest Mr. Meeraramesh, Psychologist, delivered the special address on "My Success is in My Hand". Mrs. Vijayalakshmi, Head, Rotract Club, Trichy introduced the new volunteers for the academic year 2017-18. The Function ended with the vote of thanks by S.Chitra, Secretary of the students, Rotract Club.